The Japanese Figure Skating Championships are one of the few more exciting National Championships out there because the entire competition isn’t just a one pony race. In the singles events, the field is tough and the sad thing is – if some of the lower ranked competitors were from some other country, they’d be going to Sochi right now. In any case, here is the video announcing the Japanese team for Sochi 2014. After seeing this picture, I was struck by Piper’s resemblance to Blake Lively, who I adored in the Sisterhood of the Traveling Pants movies. Do you guys see the resemblance? Let me know in the comments~! Also, if you find any other look-alikes, let me know and I’ll feature them in a post! Of course, I’ll give credit where it’s due. I’ll also be happy link readers to your site/blog/channel/other social media site if you put it in with your comments! P.S. I swear I’ll get started on those Skating 101 posts soon. I have an idea of where to start but I have a feeling the post will be tedious to write. 50 days remain until the XXII (22nd) Olympic Winter Games~! Are you excited? That’s all. I’ll have a few posts coming soon! When I was watching the Grand Prix Final, this article from Figure Skating Lessons kept popping up on my mind as the competitions played themselves out. More precisely, point no. 1 really hit home as some really surprising results came in. Like Haymitch’s sponsor gifts from the widely popular Hunger Games series, scores and placements in figure skating can send a message to skaters and there were a few messages that were pretty clear at this competition. Before I elaborate, I’ll just underscore the importance of the GPF as a competition. Many of the world’s finest skaters have competed at the final and it will likely be the biggest international showdown before the Olympics. This competition gives a rough idea of what the standings may look like in Sochi and there isn’t going to be a competition where a lot of the big names meet until then. A lot of A-list skaters tend to skip the European Championships or Four Continents in order to be at their peak and ready for the Olympics. In any case, here were some “messages” I feel like were being expounded by the judges at the GPF. 1. Bad skates cannot be rewarded. Patrick Chan. Tatiana Volosozhar & Maxim Trankov. Ekaterina Bobrova & Dmitri Soloviev. 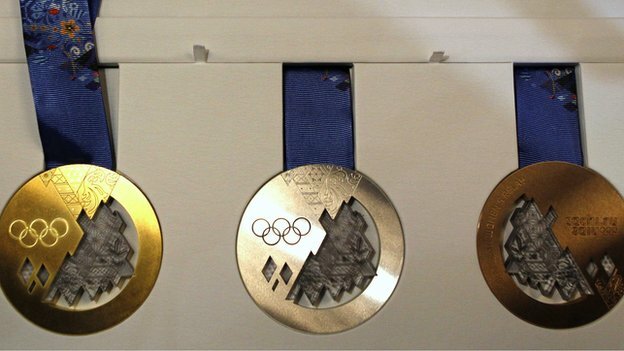 The former two skater/teams were supposed to be a lock on gold while the last team was supposed to be a lock on bronze. I made my predictions for the GPF with full confidence that their PCS would be able to buoy their scores in case anything went wrong but that wasn’t the case. Chan two-footed his 3A really awkwardly and doubled his lutz in the short. Tatiana fell in two jumping passes in the LP. Soloviev fell in the FD. Normally, I wouldn’t be surprised if any of these transgressions were forgiven, especially for Chan and V/T, and their grasp for the gold medal maintained by their PCS. (I mean, we still remember Chan being booed at the 2012 World Championships in Nice for a reason.) However, that forgiveness from the PCS didn’t happen and those with locks on certain medals ended up a tad lower than I expected. Wow. I seriously didn’t think that would happen. But then again, this is the Olympic year and it’s nearly been 12 years since the Salt Lake City figure skating scandal. Despite being a decade-old scandal, the empty or emptier arenas and the end of the golden age of figure skating keeps the scandal fresh in the minds of fans. This is an interesting message to send to skaters and fans alike that bad skating will be duly noted in the scores but whether or not PCS inflation for specific skaters will happen at the Olympics is another matter. We’ll just have to wait and see. 2. Meryl Davis & Charlie White will likely get the ice dance crown in Sochi. Tessa & Scott and Meryl & Charlie faced off against each other for the first time this season at the GPF and wow, am I impressed. Both teams delivered two great performances and this is what I’ve been looking for from all skaters this season. Bravo! In any case, I think we know who the judges prefer this season and overall, I’m not surprised. Meryl & Charlie won both the SD and FD by very small increments. In the SD, V/M scored higher on the TES but only trailed their rivals by 0.7 overall. In the FD, a level 3 diagonal step sequence proved to be costly for V/M and with a slightly lower PCS, D/W won that portion of the competition as well. In the past few seasons, Tessa & Scott have been having trouble beating their rivals and training mates but I think V/M have finally gotten on track and are giving their rivals a run for their money. However, the lower PCS for V/M should be a point of concern if they want to win the Olympics. Now that they’re back at where they need to be technically, I fear that politics have come into play. This season, Canada has the ability to win two gold medals in figure skating in the men’s and ice dance competition. The only difference is that Canada has already won the ice dance Olympic gold in Vancouver but they’ve never managed the men’s gold even with brilliant stars like Kurt Browning and Jeffrey Buttle. It will be difficult to back two gold medal contenders at the Olympics and I think Chan is the household name that Skate Canada wants to sell this season, which may not bode well with V/M. The PCS score allows judges to diversify the figure skating podium along nationality, lowballing skaters who may not be ranked #1 in their country or lowballing certain skaters in one discipline to allow another to triumph in another discipline. I think I’ve reached a zen state about politicking and I know that it will always be a part of this sport which I love dearly. Judging art will always be affected by the political or social climate of the time and is therefore, subjective – I find Bach a little dull at times but I love the elegance and “shiny” quality of Mozart but for one of my best friends, she shares the opposite opinion. Right now, I’m really tired of the negativity and hate from both sides of the V/M and D/W fanbase. What I see here is the triumph of ice dance where two teams have been pushed to create and skate in ways that are far superior to what we’ve seen before. 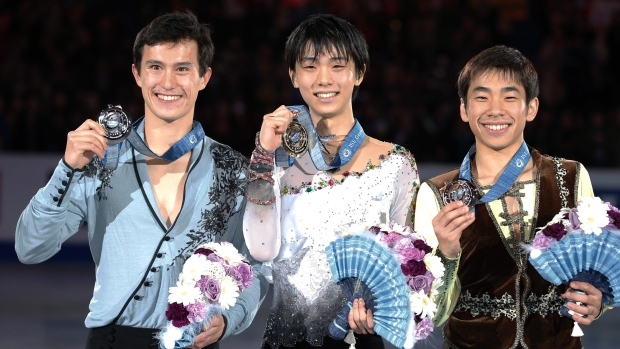 Personally, I don’t really care what medals they win, they both deserve gold for what they’ve done to the sport and they both triumph if they’ve delivered a beautiful program. What were your thoughts on the politics of the GPF? Let me know in the comments! Also, thank you all so much for the support I’ve been given during the GPF. Your comments and views motivate me to write and I’m so happy that you enjoy my random ramblings! 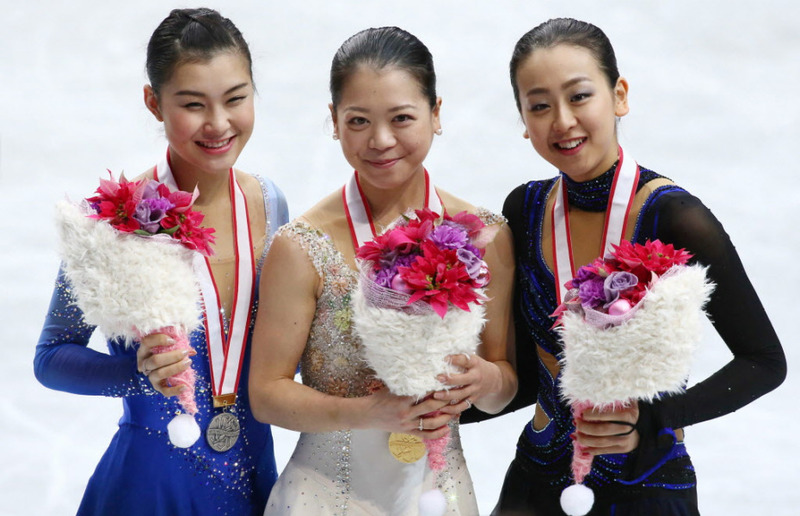 GPF 2013: What just happened? I woke up to this and I wondered if I was reading this right. He had a fall on his quad salchow and possibly a slightly clumsy spin at the very end but there was Yuzuru in attack mode again, expressing the music well and throwing down the gauntlet with every element. I especially loved that spread eagle into the triple axel-double tano double-toe. I think we all thought that Patrick Chan was unbeatable this season and I’m so happy that Yuzuru managed to prove us wrong. Ganbare, Yuzuru-kun~! おめでとうございます! Congratulations on a well-deserved gold medal! Were you as surprised as I was? Let me know what you thought of the men’s competition in the comments! In my half-awake daze, my brain could barely process this news. As in, he beat the unbeatable Patrick Chan in the short program? AND Yuzu beat Chan’s world record score that was set two weeks ago at TEB? Not only was it a world record but Yuzu’s got a 12-point lead??? What on earth happened??? Chan did a clean quad toe-triple toe (slightly awkward landing on the former), a severely two-footed triple axel with a hand down and a… double lutz with a shaky landing? He hasn’t skated like this so far this season. This competition should’ve been a piece of cake for him seeing the crazy high scores he’s been getting this season but I guess he cracked a bit in the SP. Flawless except for a slight bobble on his final jump but Yuzuru skated that program with ATTACK. Maybe that sense of attack added to the edginess of the program or maybe he decided that he’s just going to go for it and try to beat Chan but wow. I’m not sure what prompted this decision but it paid off. I don’t expect him to skate that well in the long given Yuzuru’s record of tiring easily in the second half of his long program but I wish him the best and I hope he proves me wrong. 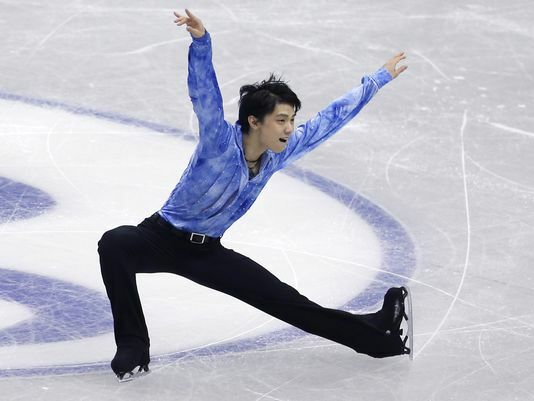 I have never regretted my decision to peg him as the future of figure skating at the beginning of this Olympic cycle. Ganbare, Yuzuru-kun! As anyone can see, Yuna still has great jumps. The only thing I feel somewhat iffy about is what I feel to be the lack of growth. Sure, Yuna is great and all but no skater is perfect just as no artist will ever achieve perfection. Before I start receiving a torrent of hatred for saying this, let me iterate that perfection is an endpoint you steer towards but never reach because if you ever reach perfection, you stop because there’s no goal anymore. I think anyone who does any art for fun or for job-related matters can understand. In any case, it’s been an entire Olympic cycle and yet, I still feel as if I’m watching Yuna circa 2010. She still doesn’t turn out her feet and her posture and lines still need polish. You can say they’re small things but they add up and really make a program shine so much more. I mean, remember Michelle Kwan when her hands reached out to you when she did her iconic arabesque spiral? I still tear up occasionally. Or when Midori Ito did those huge jumps with a giant smile on her face? I smiled with her? Or those absolutely gorgeous spirals and layback spins in the most exquisite position from Sasha Cohen? Shivers. At her ability now, Yuna’s good enough to win the Olympics but she’s already won that. I think she needs to think along the lines of the top two ice dance teams of the moment: to push the sport to a level where it’s never been before. Try doing something interesting with the choreography, push yourself to express a song/theme/story that you’ve never skated before. Yuna’s done a tango before as well as a program to flowing music and as a figure skating fan, I want more. Anyways, I’m off! I may put up a comments post after the GPF is over and I’m thinking about the Skating 101 series for fans that have recently joined us for the Olympic season.